JINDAL Multi-Layer Composite (MLC) pipes and fittings are made with the latest German technology offering quality plumbing solutions. 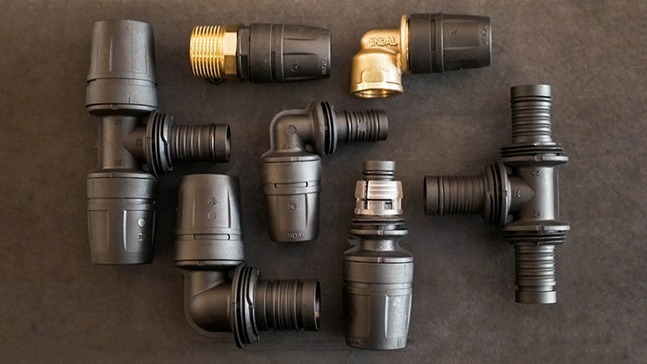 Combining the benefits of plastic and metal, the MLC piping system is suitable for hot and cold water distribution systems. It has been designed for better flow rate, enhanced working life and easy installation. With no oxygen permeability and no microorganism growth, it offers good hygiene levels. The pipes are available in 1216mm to 4050mm sizes, and can be used at high operating pressures up to 13.8 kgs and operating temperatures up to 95 C. Other key characteristics include low expansion rate, resistant to chemicals, high impact strength, etc.